We tend to think of conversations as: one person speaks, then the other responds, back and forth, back and forth. For that reason, in sales conversations, we typically feel the need to address an issue as soon as it is raised, whether it’s via a question or a statement. But that can frequently be the wrong thing to do. Because if we reply to a prospect too soon, we can miss valuable information lurking just below the surface of their statement or question. And if we reply to incomplete information, we can easily say the wrong thing. • When you say “_________,” what exactly do you mean? • What does “__________” look like to you? • Can you elaborate on that? • Has that been an issue for you in the past? • I want to be sure I understand—can you clarify that for me? • What makes you ask that? • Can you walk me step-by-step through that? • What’s the reason that’s important to you? • Can you give me some more detail about that? The more information you can get from a prospect, the better. So the next time a buyer states a requirement, raises an objection, or asks a question, don’t rush to provide an answer. Ask them to elaborate instead. You’ll get details your competitors won’t get, which means you’ll be able to provide better answers than they can. Because the best answers aren’t the fastest ones, they’re the most complete, most accurate ones. Because if you don’t take good enough care of yourself, you can’t take care of anyone else. And when you do take care of yourself, you enable yourself to be more creative, productive, and successful. Which benefits not just you, but everyone around you. It can be difficult to fit time for yourself into your already-busy schedule. But it’s critical that you do. You don’t just owe it to yourself—you owe it to everyone who depends on you. Are you using a leads group as one of your prospecting strategies? If not, perhaps you should be. After all, if you’re prospecting for new sales leads, referrals are the best kind. And a leads group can be a very powerful way of generating referrals. Like any other prospecting tool, however, your results depend on how well you use it. Simply showing up every once in a while isn’t enough. The more effort you put into your leads group, the more leads (and more sales) you’ll get out of it. Here are some specific tactics for maximizing the return you get from belonging to a leads group. Or better yet, be early. Always. Showing up late for meetings sends a signal to other members that you’re not very organized, reliable, or both. That kind of negative reputation can really put a damper on a member’s willingness to recommend you, since it’s also their reputation on the line. Arriving early (and staying late, if you can) also gives you a chance to converse with other members, strengthening your relationships with them. And stronger relationships leads to more sales. The better you know your group colleagues, the easier it is for you to refer them. (Remember, you’re prospecting for them, just as they’re prospecting for you.) So learn as much as you can about the other members of your group. Take the time to fully understand what they do, how they do it, and what the results are. Discover the breadth of their product or service offerings, as well as their specialties and target markets. • What do they do differently than everyone else? • What are the benefits of doing business with them? • What makes them worth their price? • Who are their best prospects? • What do their customers say about them? • How should you describe them to a potential prospect? Don’t be afraid to ask questions. Other members will typically be flattered that you want to know more about their business so you can refer them more effectively. Also, don’t be afraid to take notes so you can remember what you learn about your fellow group members. Everyone knows our memories are faulty, so no one will chastise you. On the contrary, people will typically be impressed by your professionalism. As a general rule, the more referrals you give, the more referrals you’ll get. So make it a point to constantly be on the lookout for referral opportunities. You should always be prospecting. When you attend other networking events, ask people you meet what their biggest challenges are. Listen attentively during conversations to pick up on potential needs of the people you’re talking to. Keep extra business cards of your group colleagues with you to hand out on the spot. In fact, some leads groups give their members a special business card holder to carry extra cards in to facilitate referrals. Of course, in a leads group, it’s not just the quantity of leads you provide that matter—it’s also the quality of them. So the better the quality of your referrals, the better they’ll be received and the more you’ll be appreciated. There are three levels of sales leads: cold, warm, and hot. Cold Lead—The lead you’re passing may or may not have a need. However, the person you’re passing the lead to can contact them using your name to get in the door and find out whether or not they have a need. This is the weakest type of lead, but it’s better than nothing. It’s certainly better than a pure cold call and it has some (albeit minimal) chance of turning into a sale. Warm Lead—You think (or know) that the lead has a need, but you haven’t specifically discussed it with them. They’re not expecting a call from your leads group colleague, but they’re likely to be receptive to it, especially when the person mentions your name. This is a good lead, and in fact, the most common type of lead passed. Hot Lead—The lead definitely has a need and you’ve already discussed the person you’re referring with them. As a result, the prospect is expecting a call from the person you’re referring. Obviously, this is the best possible type of lead. It takes more time and effort, but it makes your colleague’s job much easier and dramatically increases the chance of a sale. To generate a hot lead (which you should, whenever possible), you need to set up the referral ahead of time. And the way you set it up makes a big difference to the person receiving it, as well as the person to whom you’re making it. A lackluster referral doesn’t do anybody much good. When you are referring a group member to an acquaintance who has a need, be enthusiastic. (If you’re not excited about the person you’re referring, why should they be?) Describe the member in some detail to build confidence. Then, when you are giving the lead to your group member, provide as much information about that prospect as you can. You might include their budget, their time frame, their current or previous vendor, and the best time to call. The more information your group member has, the easier it will be for them to make the initial contact as well as close the sale. Make it easy for others in the group to refer you. Explain clearly what you do, what kinds of problems you solve, and what kinds of prospects are the best fit for you. The more specific you can be (both about your work and who you’re prospecting for), the better. However, don’t bog down members with technical language or industry jargon. If they don’t understand what you’re saying, they can’t help you much. Instead, illustrate your work by relating stories of customers and how you’ve helped them. Collateral material is also valuable. Obviously, you want to give everyone your card. But give out your brochures, catalogs, booklets, white papers, and any other marketing materials as well. Show your group colleagues photos or testimonial letters. If possible, provide free samples, trials, or consultations to the other group members. The better other members understand what you do, the easier it is for them to explain it to others. And the better other members understand who your best prospects are, the easier it will be for them to find new ones for you. So do some prospecting for new members as well as new sales leads. Be an evangelist for your group. Mention it at networking mixers and other business events. Invite people you know and trust to visit your group. If they join, they win, you win, and the group wins. Instead of spending the entire 30 or 60 seconds allotted to you for your introduction talking about yourself and your business, try demonstrating your expertise by offering a tip that other members can use. People will sometimes zone out while a member is talking about themselves (everyone does it now and then, it’s human nature), but if you’re providing information they can actually use, you can bet you’ll have their complete attention. • If you’re an insurance agent, you might give out a tip each week about how members can keep their homes, cars, or kids safe. • A business coach could offer a different success strategy each week. • A florist might provide tips on how to choose the right flowers for different occasions and how to keep them alive longer. • A real estate agent could suggest different ways to increase or maintain a home’s value. • A chiropractor could offer ways to keep a body healthy. • A web designer might update members on the latest technology tools to increase a website’s effectiveness. • A caterer could offer event planning tips. • A landscaper might provide recommendations about lawn and garden care based on the current weather. • An accountant could alert the rest of the group to proposed or recent tax code changes and their impact. If your group brings in guest speakers, assist in finding good ones. Look for experts in the fields of sales, marketing, networking, customer service, presentation skills, negotiating, productivity, and communication. (You should also consider people who are pure motivational speakers. After all, the right attitude is essential.) A twenty-to-thirty minute presentation every now and then can help keep the group invigorated and refresh everyone’s skills. There are all kinds of jobs that need to be done in order for a leads group to function effectively. Volunteer to help out and you’ll raise your visibility and generate additional goodwill among the other members. 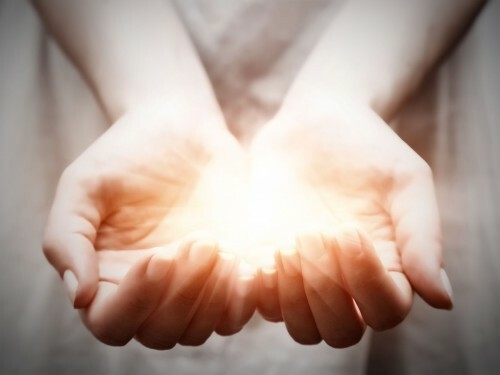 When you give to the organization, others feel compelled to give to you in return. This should be obvious, yet it’s so easy to forget. When you need products and services, look to the members of your group first. When you buy from them, they’re encouraged to buy from you. If nobody in your group provides the product or service you need, ask them to refer someone who does. Needless to say, that person then becomes a new prospect for group membership. Is your leads group as good as it can possibly be? Would you like it to be better? Pay a visit to other leads groups periodically (with permission of course) to see what they do differently than your group. You may discover ideas that can help your group, and you can share your ideas with other groups. You may also find opportunities to collaborate with other leads groups for mutual benefit. Perhaps you can coordinate a joint membership event. Or pool your resources to exhibit at a trade show together. Or sponsor an event that none of you would be able to do individually. I’ve heard people brag about belonging to three, four, even five leads groups. But that’s a recipe for disaster. If you belong to more than one group, you’ll be forced to split your leads among them, since there will undoubtedly be people with similar businesses in each group. It’s also hard to keep track of that many people and remember to refer them all. Not to mention all the time that kind of group-hopping requires. Instead, focus your attention and efforts on just one group. A group that’s a good fit for you that you can be loyal to. A few strong referral relationships are infinitely more productive than a bunch of weak ones. By all means, get involved with other types of business groups (Chambers of Commerce, community service organizations, professional associations, Toastmasters, etc. ), because they can expand your networking contacts and help your business in a variety of ways beyond boosting your sales. But when it comes to leads groups, one is plenty. Don’t limit your interactions with your fellow group members to just once a week. Invite them to other networking and social events. Doing so will garner you several benefits. First, you’ll have a chance to get to know each other better, both on a business and personal level. There’s only limited time at each leads group meeting for you all to talk with each other, and creating a deeper, stronger relationship makes it easier for you all to find referrals for each other. Second, when you invite your group colleagues to other events, it positions you positively in their minds. Not only are you “in the know” and “well-connected,” but the fact that you thought to invite them creates a sense of appreciation. Being at the forefront of their minds (in a positive fashion) helps ensure that they’re working harder to find you more leads. And third, when you give your fellow group members the opportunity to meet new people, it means they have more chances to meet someone they can refer to you! Have fun! Nobody like doing business with someone whose attitude reminds them of a Department of Motor Vehicles bureaucrat. But people love doing business with a person who loves their work, their products, and their customers. Enthusiasm is a powerful asset. People will flock to you when your attitude is positive because you make them feel better. Consistency pays off, both for you and the group. Be diligent about attending meetings. Mention your leads group in conversations with other business acquaintances. Keep your radar tuned to possible opportunities for people in your group. Actively seek out referrals for other members. The harder you work to procure leads for others, the harder they’ll work to return the favor. Like most other prospecting tools, leads groups take time to provide results. If you expect to get lots of leads (and lots of sales) right away, you’re in for a disappointment. It takes several weeks just for other members to get a good feel for you and your business. It can take several more for them to remember you effectively enough to notice prospective customers for you. Don’t be concerned with your numbers from week to week. Instead, keep your focus on your long term sales results. And if you follow these guidelines for success, over the long term, your leads group should prove to be an extremely profitable investment in your prospecting portfolio.